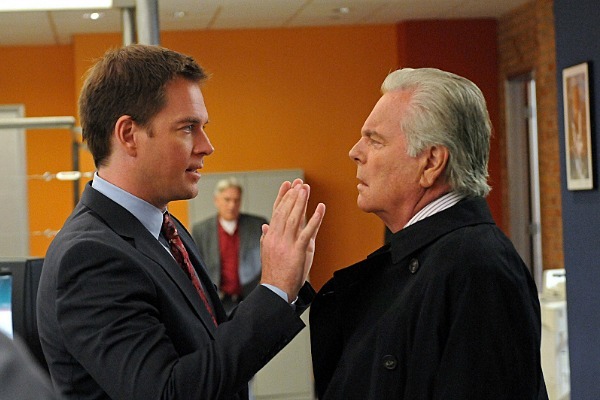 The 250th episode of NCIS promises an extra dose of daddy drama for Tony DiNozzo and his father when Junior meets Senior’s new girlfriend. It might be hard to believe, especially for those fans who have been around since the very beginning, but NCIS is heading toward another huge milestone. Fans have already seen the show’s 100th and 200th episodes and soon it will be time for the NCIS 250th episode. NCIS Season 11 has already seen quite a bit of heartache thanks to Ziva’s (Cote de Pablo) exit from the team, but the 250th episode promises to add some more when it features what could possibly end up being a very inappropriate love triangle. The episode, which is set to air in late February, will have Tony (Michael Weatherly) finally showing interest in another woman after everything that happened when Ziva decided to leave the team for good. The only problem: She’s dating his father (played by Robert Wagner). Talk about an awkward father and son reunion. Tony’s strained relationship with his father goes all the way back to the early part of the series when the man was just someone Tony told stories about, such as the time his father forgot about little Tony and left him in a hotel alone for a couple of days. Slowly but surely, Tony and his dad have tried to mend that relationship over the years. Their road to reconciliation hasn’t been without its ups and downs, but something tells us the two of them being interested in the same woman could spell another downward spiral.